Case study: saving £30,000 a month! See our case study of how PCM Medical secures a busy physiotherapy practice a whopping £30,000 a month, just by being present to handle their call volume and schedule appointments. A busy physiotherapy and podiatry practice contacted us after their receptionist was understandably struggling to manage the call volume for their multiple practices across the city. Assuming every call that PCM Medical collected on behalf of HFS Clinics converted into booking a new appointment would be unrealistic. However, it is reasonable to suggest that two-thirds of the callers did arrange an appointment. 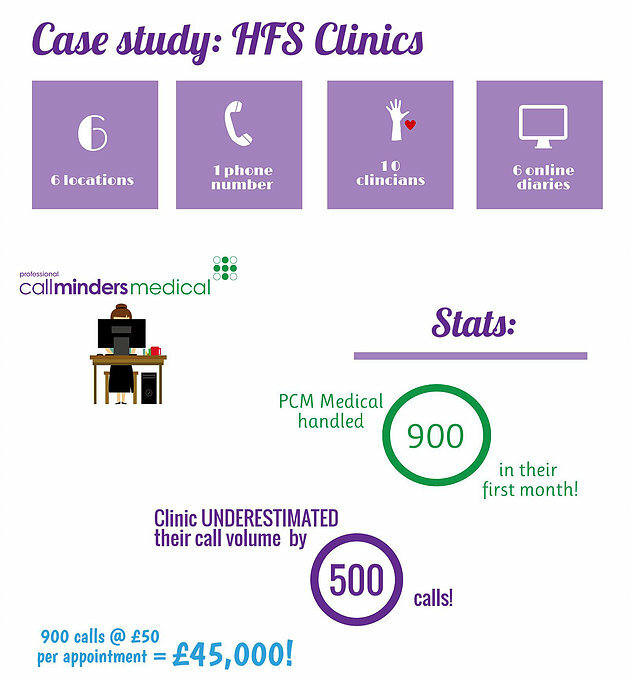 In just one month, PCM Medical secured a whopping £30,000 of business, simply by managing thier call volume and diary!! Can you afford to miss calls? Funnily enough, HFS Clinics have never looked back! Find out more about PCM Medical or call us on 0845 606 6925. PreviousPrevious post:Finalist at Midlands Business Awards!NextNext post:Get your event off the starting blocks!